I grew up trick or treating on Halloween in the late ’70s and early ’80s at the Witch’s House. The owners at that time would dress up as ghosts and goblins and hand out taffy from a witch’s kettle. There was dry ice coming from the moat around the house and Disney’s Haunted Mansion soundtrack could be heard out the upstairs window. It was an event. Then suddenly, the house went dark in the ‘90s, no explanation given. Over time, the property started to show neglect. Thankfully, real estate agent Michael J. Libow purchased the cottage in 1998 and has taken wonderful care of it since. What began as a gradual renovation project 15 years ago turned into something else: Landmark #8 for the City of Beverly Hills. 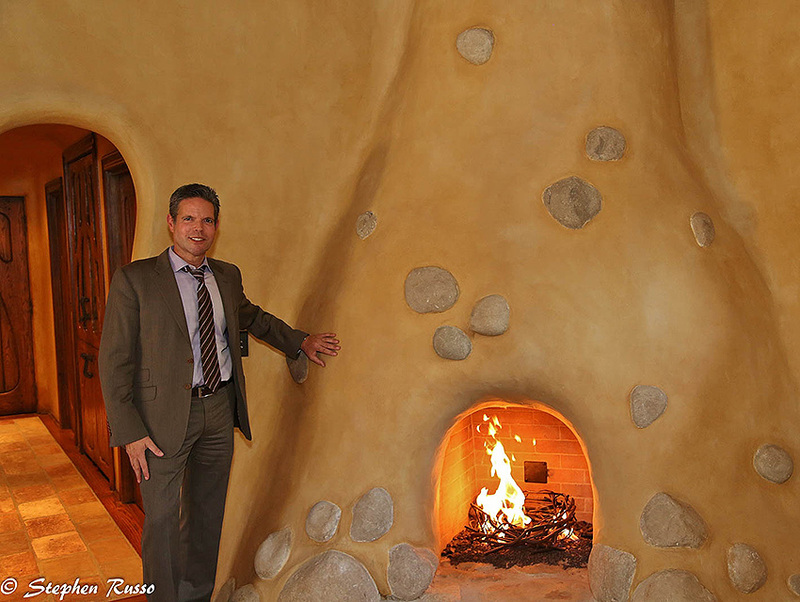 In addition to restoring the property, Michael has made some incredible additions to the house. 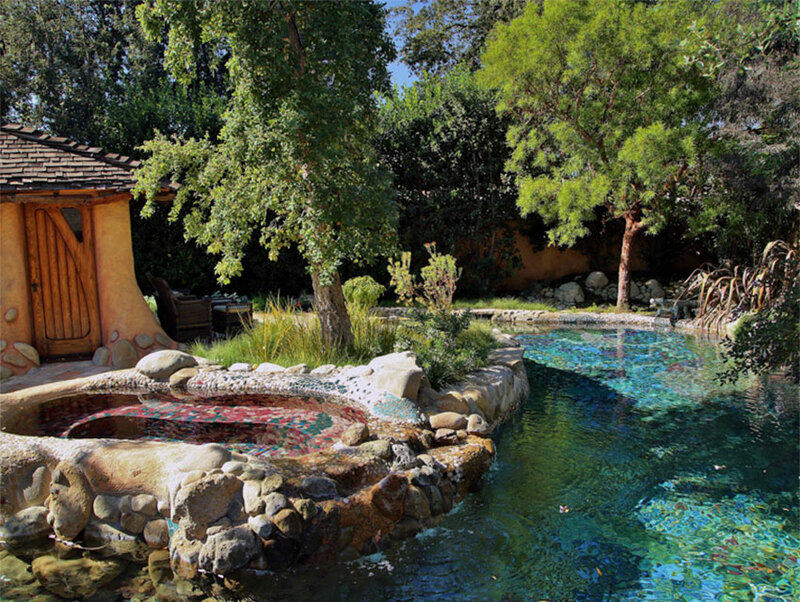 The landscaping in the front yard is purposefully bizarre, with gnarled, twisted trees and a wooden bridge crossing a mystical moat with a ceramic glass bottom. 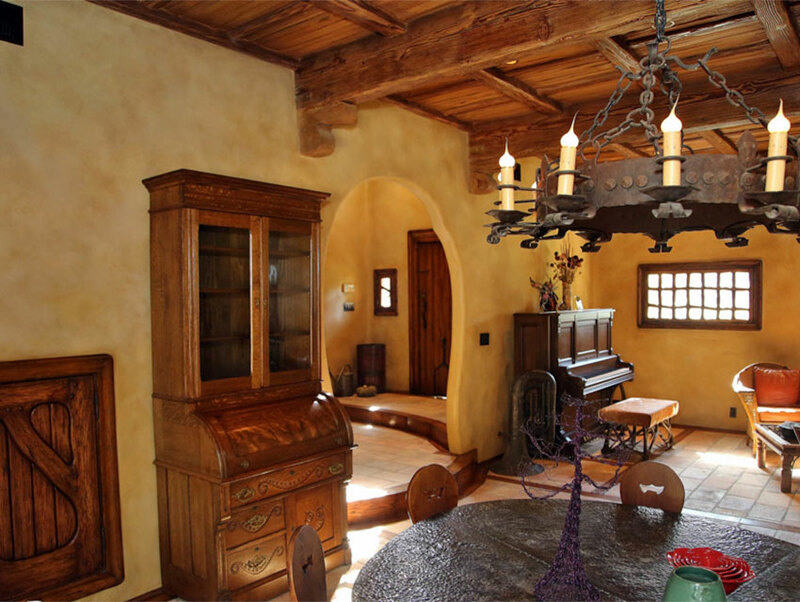 The home now looks more organic, like it’s growing up out of the ground. There is a huge wrought iron spider web complete with a nefarious looking spider and the house is surrounded by a rickety-looking picket fence. I had the pleasure of visiting my childhood haunt earlier this year, and it immediately reminded me of “Mr. Toad’s Wild Ride” at Disneyland. I half expected Walt’s ghost to appear at any moment. Its dilapidated-looking pitched roof is pointed like a witch’s hat, and the walls of the house slope precariously, giving the impression it could collapse at any moment. Saggy, wooden window shutters are hung at odd angles. Michael was kind enough to allow me and photographer Stephen Russo, my Vintage Los Angeles colleague, to tour the home while he prepared to welcome more than 4,000 trick-or-treaters this Halloween. Between a few rounds of pinball on Michael’s vintage Captain Fantastic pinball machine, he spoke with me about his oddball home and what it’s like on All Hallows Eve. 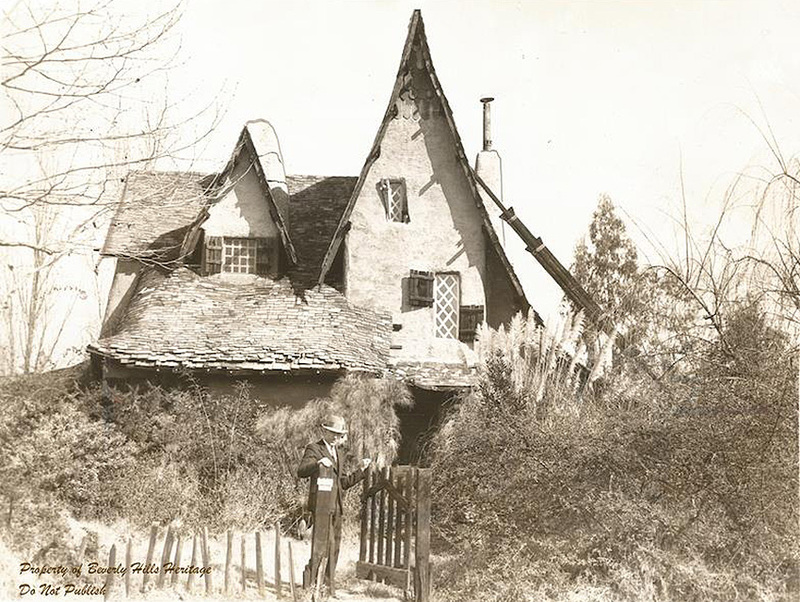 Tell me about the Witch’s House history. 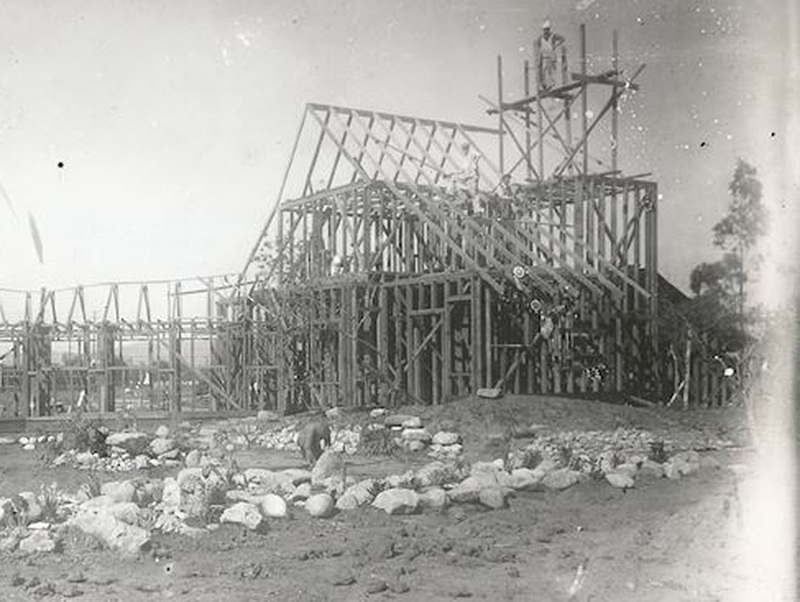 The Witch’s House under construction at Willat Studios in Culver City during the 1920s. Ward Lascelle outside The Witch’s House. 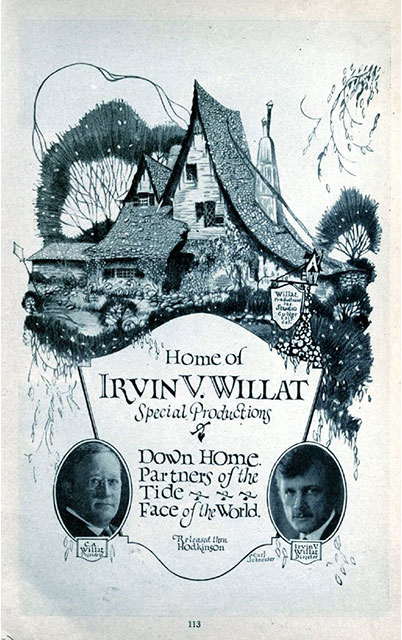 A rare photo listing three of the silent movies that were made at Willat Studios. Why did you want to own it? 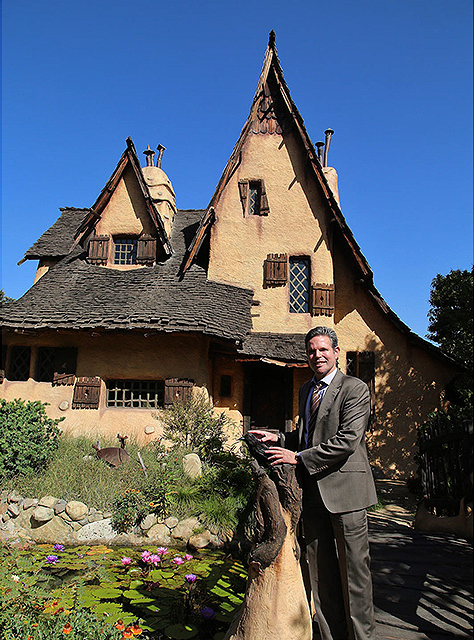 I was raised in ‘baja’ Beverly Hills, so I knew the Witch’s House as a kid. It was the place that everyone migrated to on Halloween. I was actually scared of it back then. I never imagined I would one day be the owner. I graduated from Beverly Hills High in 1981 and from UCLA with a major in mathematics in 1986. My initial inclination was to become a rocket scientist, but as fate would have it, my family was forced to move around quite a bit in the early ’80s, and I became fascinated with architecture and real estate. I decided to get a real estate license to support myself through school, and I’m glad I did. 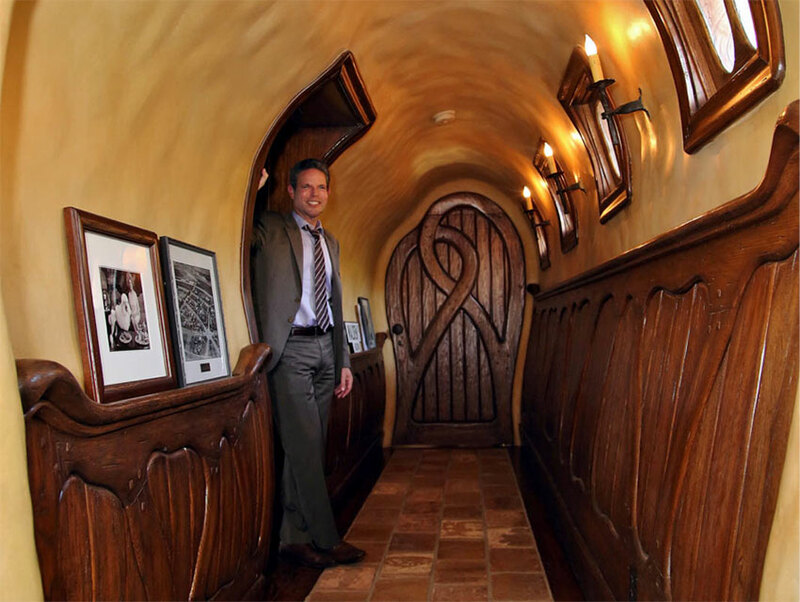 I began my career in Cheviot Hills which, oddly enough, introduced me to a well-known 1930s architect named [Edmond] Aiken who designed storybook-style homes. Consequently, I fell in love with that style. Years later, after growing my career at Coldwell Banker, I was searching for a home in the flats of Beverly Hills. The Witch’s House was placed on the market in 1997 and it was being shown extremely discreetly by the Greens. In fact, Mrs. Green would only allow a prospective buyer to visit the house if he or she brought a deposit toward the purchase price with them in the form of a cashier’s check. If she sensed a buyer would want to tear it down, she casually ignored that person. I had to cajole the listing agent to allow me to view it because I wanted to see if I could remodel the home. After buying it, I thought I could get away with powdering its witch’s nose. Boy, was I wrong! How did the house look before you purchased it? The exterior looked similar. It always had that Gingerbread-house-in-Bavaria look to it. The entire interior, unfortunately, had the look of a bad tract home from the 1960s with sliding glass doors and recipe tiles adorning the kitchen, red shag carpet throughout, electric fireplaces, and super low cottage cheese ceilings in many rooms. What was your overall vision? The home always straddled the line between cool and kitschy. 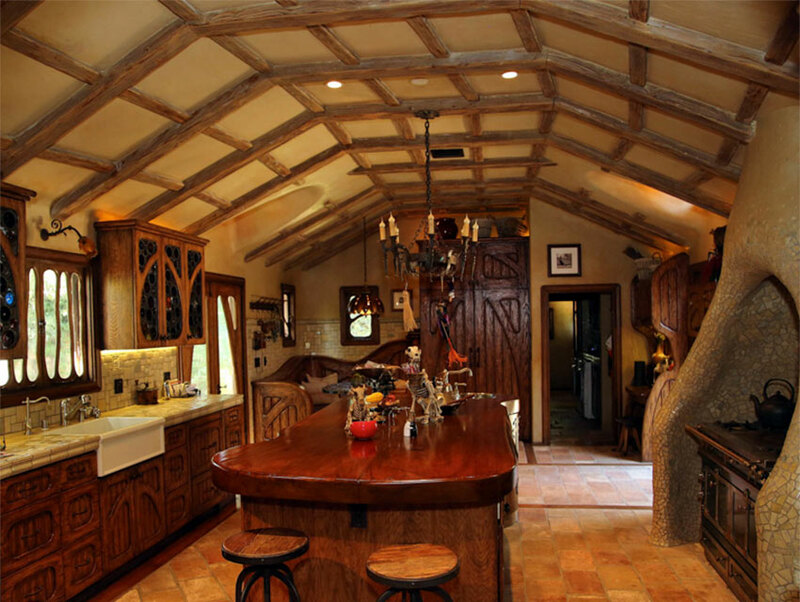 In my remodel, I wanted to keep it a bit more cool and a little less kitschy. 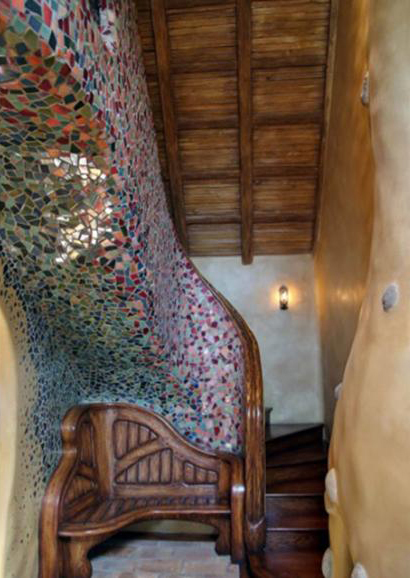 I had been to Barcelona, Spain and fallen in love with Antoni Gaudi’s sensibility. I was fascinated with how his buildings appear to emanate from the ground in an organic fashion. I wanted my home to have a similar vibe as it is such an anomaly for the flats of Beverly Hills. I designed the home with barely a right angle in it, as I’m told that this is a sign of good Feng Shui. 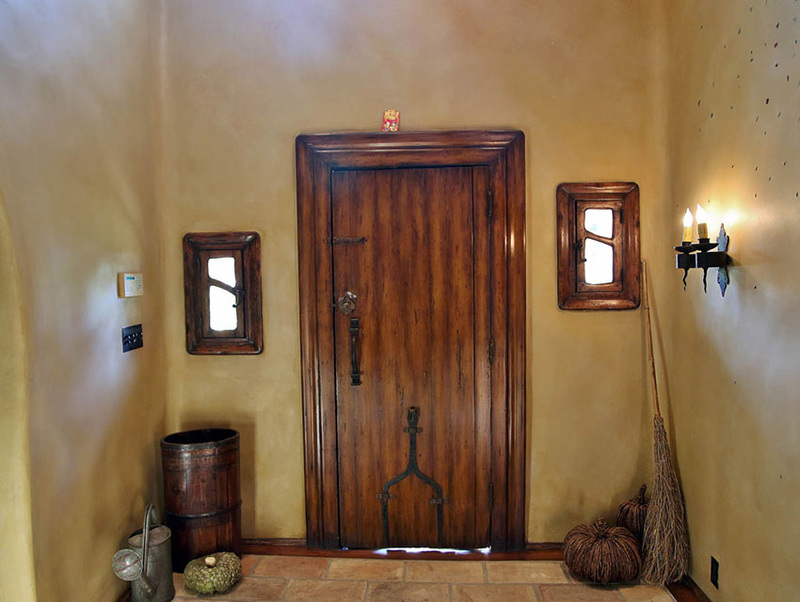 There’s also a nice mix of water and fire elements, which supposedly contributes to good chi, but the funky shapes of the doorways and entryways were most certainly influenced by the Gaudi structures I saw in Spain, and not by a Feng Shui master. 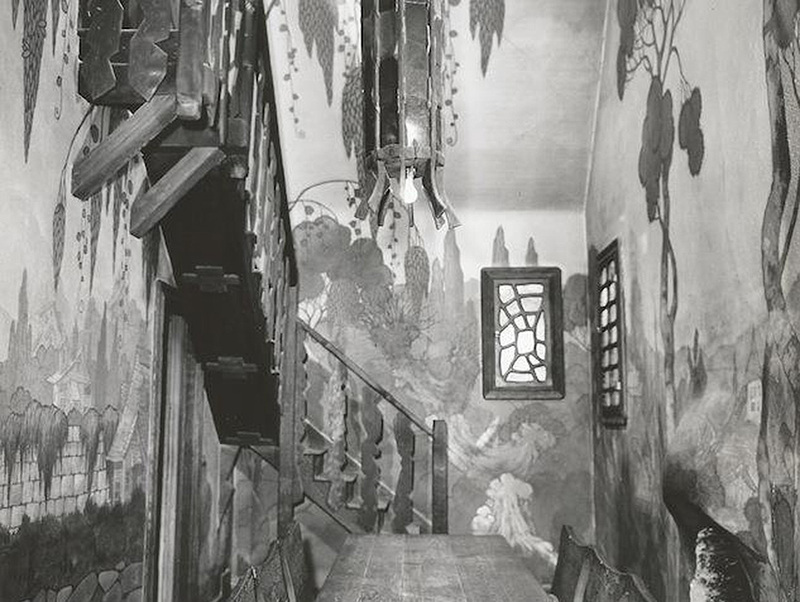 The original hallway circa 1933.
Who helped you execute your vision? I worked with a fantastic film production designer named Nelson Coates and an equally wonderful landscape designer, Jane Marshall; they were able to draft things that I couldn’t. 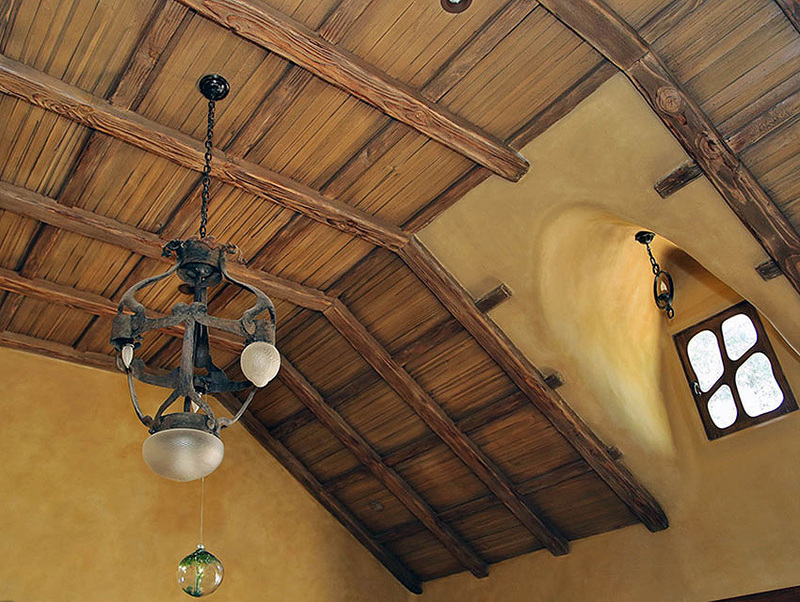 The ceilings in the living room, den, and entry were the same height they are today, but the rest of the house was much, much lower. I used to hit my head in the bedroom hallway. All of the wild hardware comes from J Nicolas Hardware in Corona Del Mar. 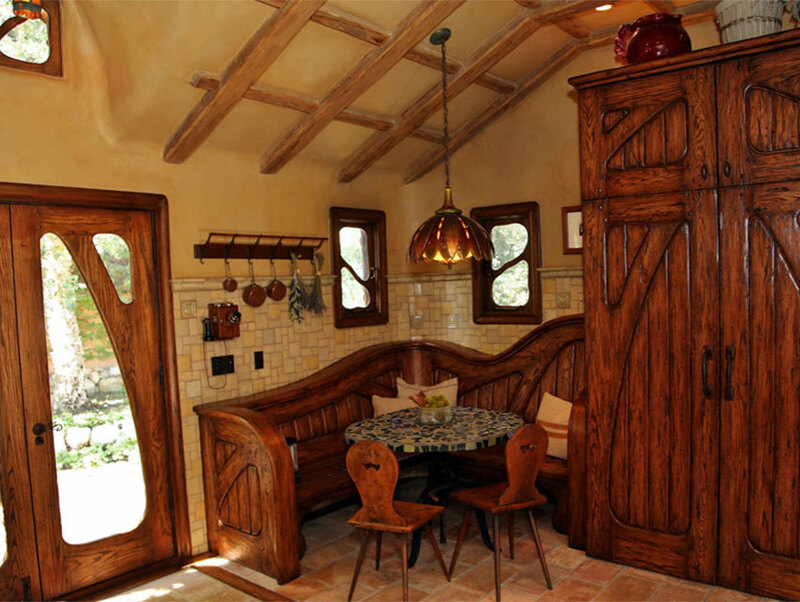 The expert woodworker who created all the incredible cabinetry, doors, windows and custom built-ins is a film industry veteran named Jim Betts who typically worked with Styrofoam on film sets and was super excited to be able to fabricate items out of solid oak at my home. For the pool, which I put in, I wanted a lagoon style and requested “beach entries” on either side so that I could walk into it without stepping down stairs. The most difficult task was placing each tile on the pool surface. The exact process had never been done before according to my tile expert at Ann Sachs Tile. 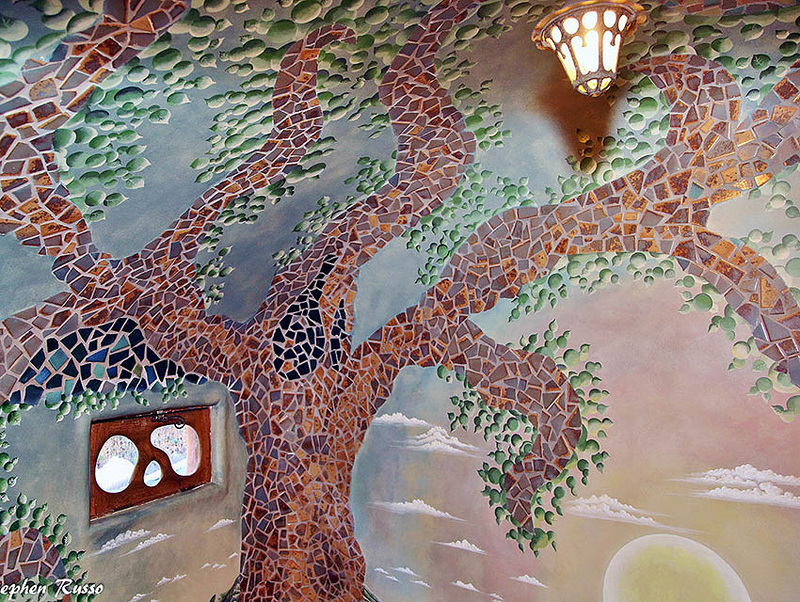 Each tile was laid in a mosaic pattern individually, not in sheets. 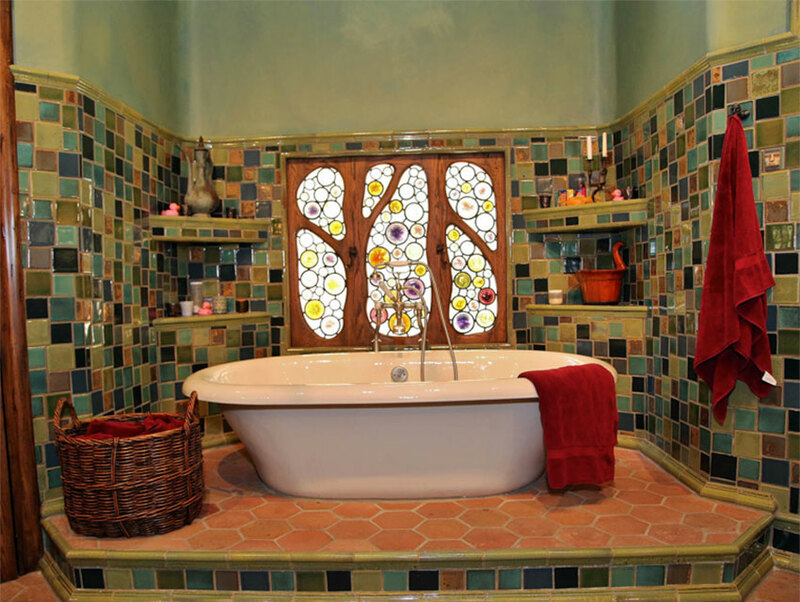 All of the glass inside the home was done by James Thomas Stained and Leaded Glass in Studio City, which is owned by Dawna Miceli and her husband, Jim Thomas. Dawna is a relative of the legendary Miceli’s Pizzeria family, so some of the glass may look very familiar! What goes down here on Halloween night? 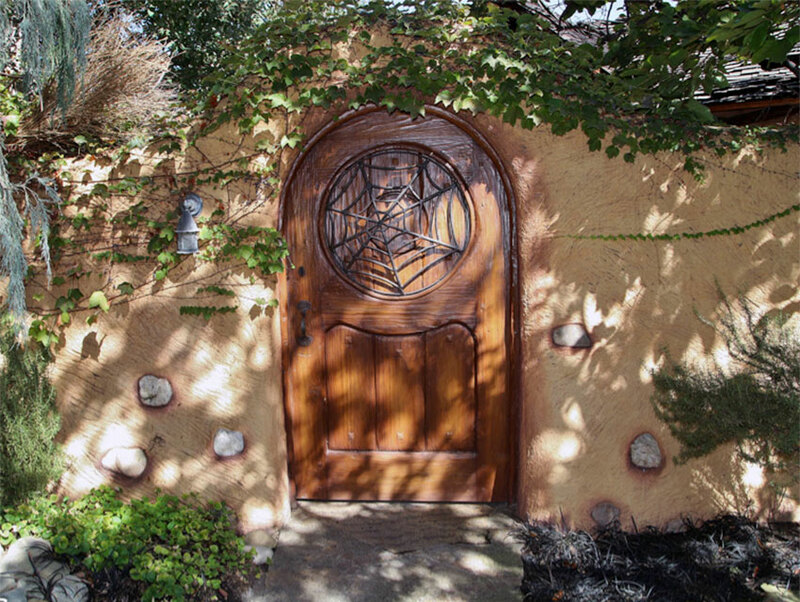 The Witch’s House is a Mecca on Halloween—I knew that when I bought the house. What I didn’t realize is how much work it really is! In just a few hours we typically have between three and four thousand children and their families visit with hands outstretched and mouths agape. I hire private security for the night. Police and volunteer officers also maintain control in the area. The surrounding streets are cordoned off as it’s simply too dangerous to have traffic flow when masses of children are in the streets. When I look out from the window on Halloween night, it can be a bit frightening how many people are out front, but it’s an incredible tradition and I’m happy I brought it back. Some neighbors love it, some don’t. Out of courtesy to certain ones who asked me to one year, I tried to shut the whole event down. I even placed newspaper announcements and left off the lights—but people still came by. Now I embrace it. How often do tour busses come by? Countless times per day, and more in the past ten years since the “crop top” van conversions have been in place and new independent tour companies exist. I was told by a Starline tour guide that mine is the most requested and most visited non-celebrity house in all of the West Los Angeles! Do you ever see yourself moving? I can’t imagine living anywhere else. My home is irreplaceable. 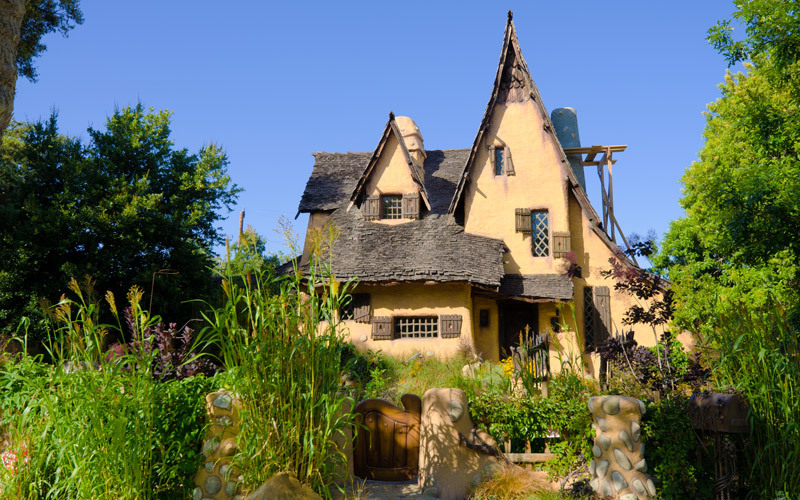 I tell my clients, I will never treat their homes as a commodity; the same goes for my Witch’s House. Who would you like to have at your next dinner party? I would love to have Tim Burton over. He’s such a master at melding fantasy and reality. That’s what I have tried to do in my home. It’s very Burton-esque! Alison Martino is a writer, television producer and personality, and L.A. pop culture historian. She founded the Facebook page Vintage Los Angeles in 2010. In addition to Los Angeles and VLA, Martino muses on L.A’s. past and present on Twitter and Instagram.